Málaga has everything the holidaying couple could want: beautiful beaches, lowly-lit cocktail bars, romantic terraces and walks among the gardens of one of southern Spain‘s greatest Moorish monuments. Here are the places to head for an unforgettable romantic break in one of Andalusia’s coolest cities. Boats, palm trees, the sea and views out over the Mediterranean. This combination, enjoyable from Málaga’s stunning port and the “Palm Garden of Surprises” that stretches along its length, would be enough to melt even the most un-romantic of hearts. As well as being the second most important port for cruise ships in Spain, it is one of the dreamiest places in the city to take an early evening stroll with your partner, when you can watch the sunset over the floating mini-cities that drop anchor here. After the sun’s packed up for the day, head to one of the plush bars facing the port along the “Palm Garden of Surprises”. All of these establishments have outside terraces from which you can watch the evening “paseo” along the port-side while enjoying a cocktail or chilled, crisp glass of wine. Amazingly given their premium location, the drinks in these places won’t set you back more than bars in the city centre. Romantic and easy on the wallet. Can’t get much better than that. To combine romance with a little history, take a leisurely walk around the Alcazaba, Málaga’s 11th-century Moorish fort. From the outside, the Alcazaba looks small and somewhat plain – but inside it is a haven of secret little squares and pathways stretching across the hilltop on which it sits. You can also climb up to the ramparts and survey Málaga’s port and beaches beneath you, which qualifies it as another unbeatable spot for a hand-in-hand stroll with your better half. The square on which Pablo Picasso was born in 1881 also happens to have some of old Málaga’s best outside eating and drinking spaces. On a sunny afternoon, there are few better places to spend a few hours than on one of these lively terraces, from where you can watch the street performers that often use Plaza de la Merced as their stage. To impress your loved one you might wish to read up on Picasso before hitting Merced, so you can casually display your knowledge of the great artist as you wander around his former neighbourhood. 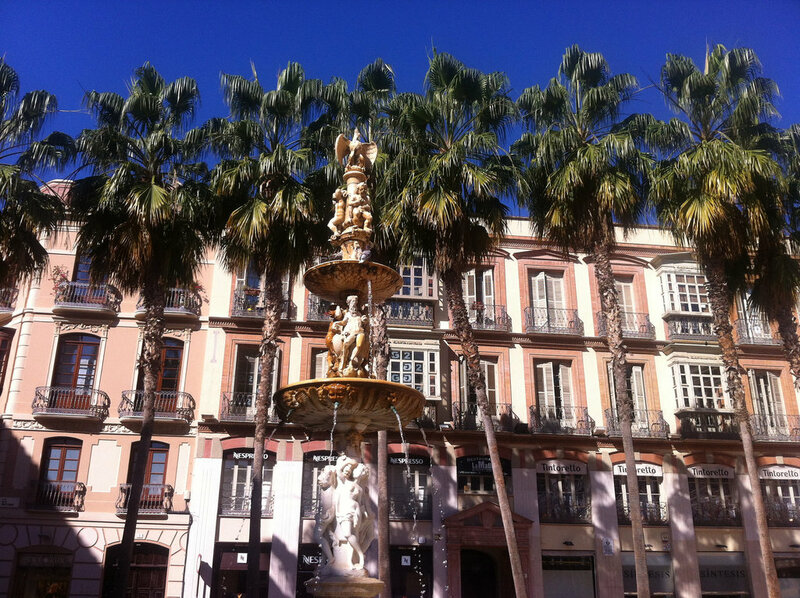 The combination of traditional Andalusian architecture and some of the city’s sleekest, most modern bars and restaurants gives Málaga’s old town an ambience that has few, if any, equals in southern Spain. 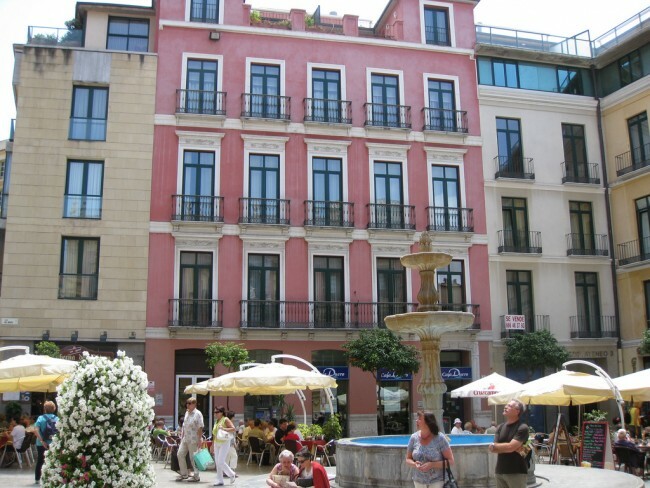 Beginning properly where Calle Larios – the main shopping street – meets Plaza Constitución, and extending in every direction from there, it is one of the most enchanting urban areas in all of Andalusia. For a romantic evening that will linger in the memory for years, simply wander up Calle Granada, the old town’s central thoroughfare, and explore any little street that takes your fancy. 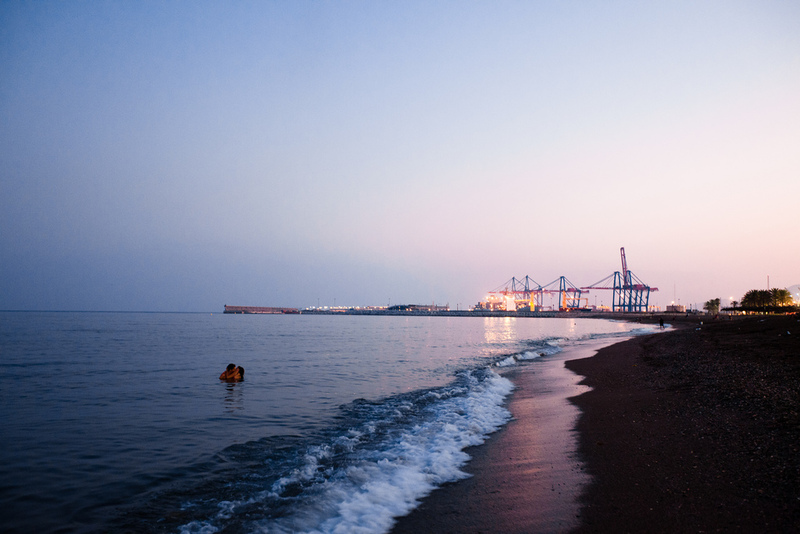 One of the pleasures of being in Málaga is the fact that you can simply hit the beach and cool off if you get too hot in the city centre. Playa Malagueta, the man-made beach that stretches for about a mile to the east of the port, is also an ideal spot for lovers to languish on hot summer days or from which to watch the sun set over the Mediterranean. The nearby Paseo del Muelle Uno offers a plethora of port-side eateries to take a snack or drink. 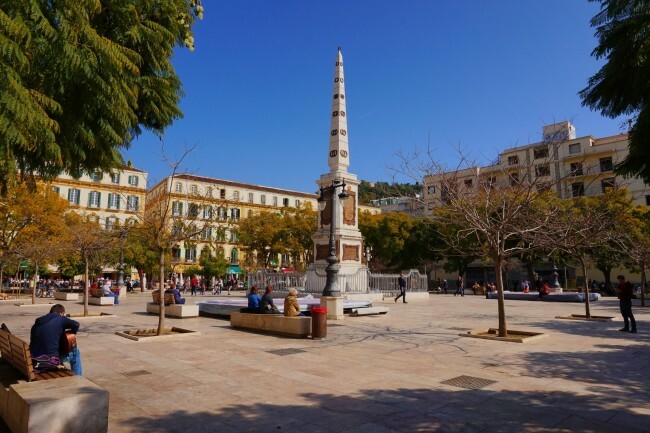 This charming little square faces the towering facade of Málaga’s great cathedral, known as “La Manquita”, or “The One-Armed Woman” due to its conspicuously absent second tower (funds ran out after completion of the first). Naturally, it is packed with bars and cafes with terraces from which couples can contemplate this amazing structure. Plaza Obispo sits in the heart of Malaga’s old town, within five minutes from the Picasso Museum and Plazas Merced and Constitución. “El Pimpi“, a curious network of internal courtyards, narrow corridors, bars, dining rooms and terraces, is one of Málaga’s best-loved eateries. Its outside terrace, which is efficiently serviced by an army of scurrying waiters, looks out over the Alcazaba and the Roman amphitheatre, making it the perfect spot for a romantic meal or pre-dinner cocktail. On the way through the bar to the terrace, check out the old wine barrels that have been signed by El Pimpi’s famous patrons, among whom is local boy Antonio Banderas. 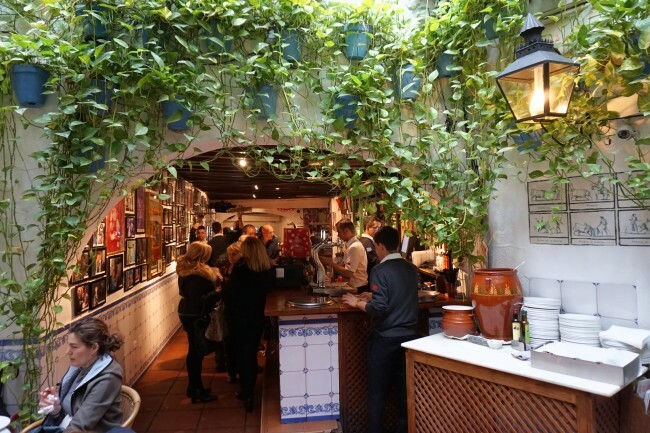 Just a little further down Calle Alcazabilla from “El Pimpi”, the line-up of bars and restaurants boasting the city’s best terraces continues. 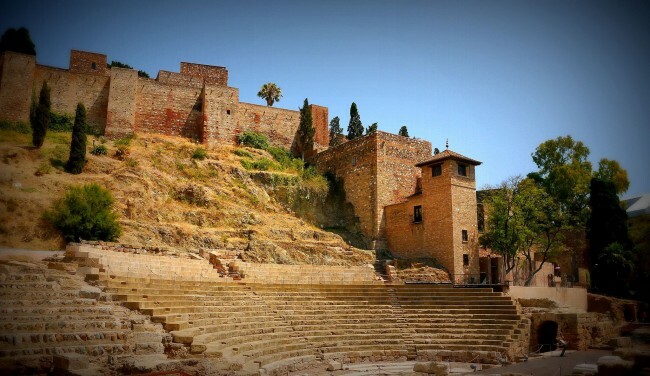 These offer a slightly more direct view of the beautiful Roman amphitheatre, which at night is subtly illuminated by footlights and is one of the most romantic sights in Málaga. This is a busy tourist thoroughfare, so if you’re lucky enough to get an outside table at one of these joints, hang on to it for a while and enjoy the view. 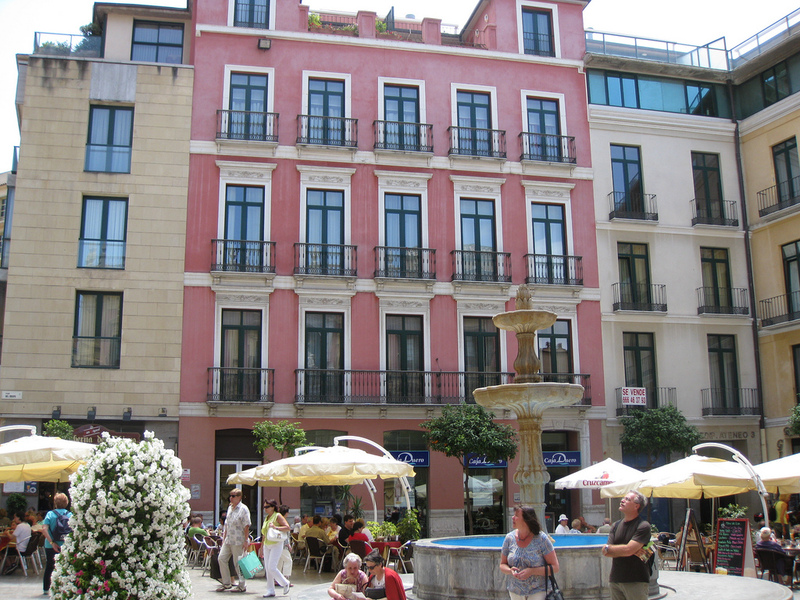 At the top of the Parisian-style boulevard of Calle Larios, Málaga’s main shopping street, is the old town’s principal square, Plaza Constitución. The stately Andalusian buildings that enclose it, the towering palm trees and the elegant fountain at its centre make it one of the most romantic spaces in the city. It also stages regular open-air concerts and is beautifully illuminated, every August and December, by the feria and Christmas lights respectively. For a romantic stroll with an edge, head to Soho – which starts at the port and extends until the Guadalmedina river – the tattered old walls of which feature Málaga’s best street art. The pleasure of exploring this otherwise run-down and neglected area is stumbling upon these incredible spray-paint murals, which together constitute the Málaga Arte Urbano Soho (“MAUS“) initiative. If red roses and fine-dining aren’t really your definition of romance, what better than a bohemian, artistic adventure in an edgy urban space? Once you’ve exhausted the romantic delights of Málaga’s city centre, head out of town to the botanical gardens in the nearby suburban quarter of “La Concepcion”. Dating from the mid-nineteenth century, the gardens display fauna and flora, trees from 5 continents, over 49 hectares (121 acres) of tropical forest and 23 hectares (57 acres) of botanical gardens. They make for a wonderful afternoon or morning’s lovestruck meandering. Particularly notable are the garden’s collection of palm trees, some of which are over one hundred years old, as well as the 400-year-old olive tree.